This paper reviews our current understanding of the acceleration mechanism of anomalous cosmic rays (ACRs). ACRs were first discovered in the early 1970s and soon afterwards it was recognized that they were accelerated interstellar pickup ions that obtained most of their energization in the outer heliosphere. Their observed composition and charge state suggest they are accelerated to over 200 MeV total energy in about a year. 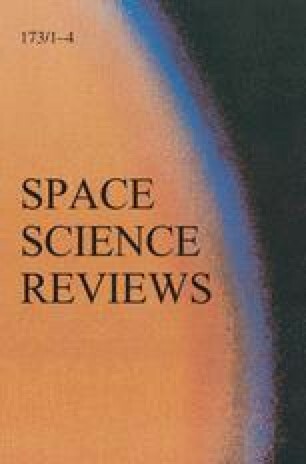 Diffusive shock acceleration at the solar-wind termination shock, which provided a natural explanation for spacecraft observations prior to the Voyager crossings of the termination shock in 2004 and 2007, was the long-held paradigm for the acceleration mechanism. But when both Voyagers crossed the shock, the ACR energy spectrum remained modulated, suggesting a source more distant than the shock. While shock acceleration remains a popular mechanism, other ideas have emerged recently to explain the observations. This review focuses on three main acceleration mechanisms that have been proposed: (a) acceleration at the termination shock including new effects such as the global blunt-shape of the shock and large-scale turbulence, (b) acceleration by magnetic reconnection in the heliosheath, and (c) acceleration by diffusive compression acceleration in the heliosheath. We thank the local organizers of this workshop for their generous hospitality and for organizing a very interesting meeting. The work of JG and JRJ was supported, in part, by NASA under grants NNX10AF24G, NNX11AB45G and NNX11AO64G.